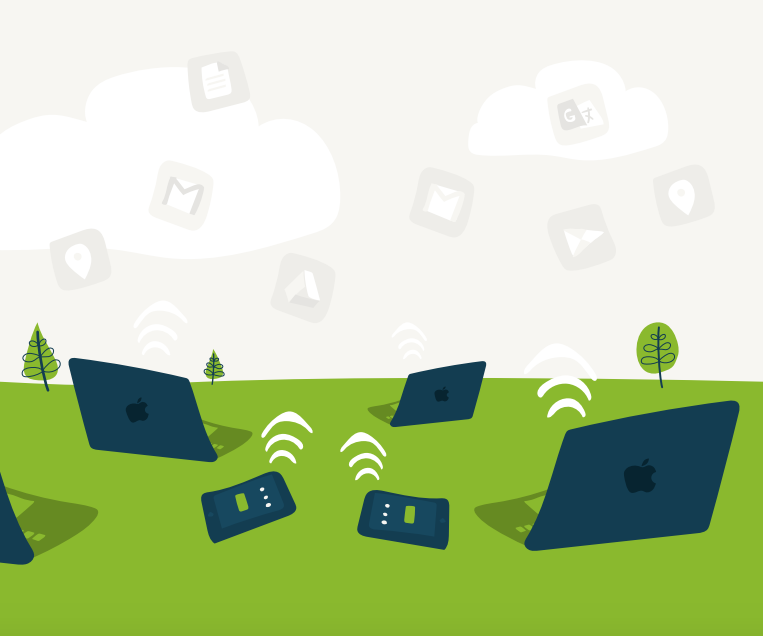 Is there a solution for Mac ® management in the cloud? The short answer is yes. Take a look at JumpCloud ® Directory-as-a-Service ®, a cloud directory that not only lets you manage your Mac fleet, but also the users that access them. 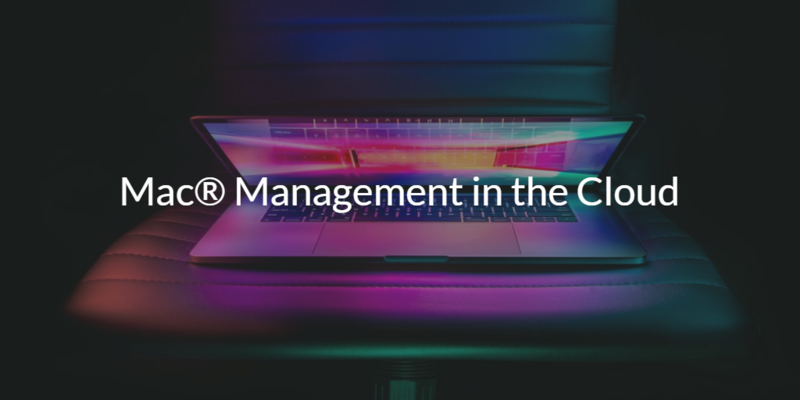 If you are interested in a more in-depth answer surrounding Mac management in the cloud, and the need for it in the modern enterprise, then this blog post will do just that. There is a next generation cloud-based IT management tool that is making life much easier for IT admins. This SaaS-based solution is solving major IT problems, but without the heavy cost of hardware, software, implementation, or ongoing management. As a result, the historical lack of Mac solutions is beginning to wane. The modern IT environment is very different than what it was even just a few years ago. Microsoft ® Windows ® machines and applications dominated the IT network back then, and that control lasted for decades. This is why a whole ecosystem of Windows-focused IT management tools were created. 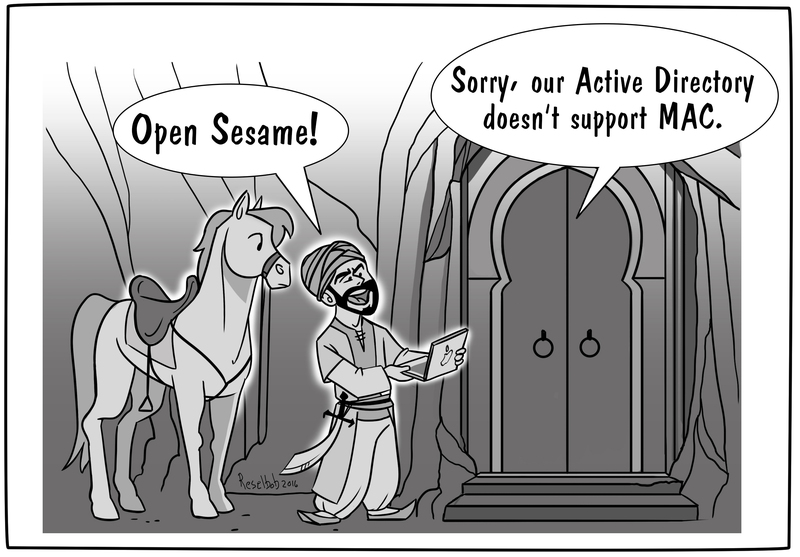 Microsoft led the way with Active Directory ® and SMS (now called SCCM), and they have held that lead for a long time. But, over time, the IT landscape started to change. Mac and Linux ® systems started to replace Windows desktops, laptops, and servers. Web applications became the norm, and data centers were abandoned in favor of AWS ® or Google Cloud Platform™. Windows File Servers gave way to cloud solutions like Box™, Google Drive ®, and Dropbox™, or more cost-effective on-prem alternatives such as Samba file servers and NAS appliances. All of these changes put tremendous stress on the existing IT management tools, with Active Directory being a prime example. These on-prem directories just couldn’t keep up with all of the changes. Some, like AD, even refused to adapt out of a desire to stifle the change. As a result, IT became much more difficult and complex. Macs were left largely unmanaged, web applications and AWS looked a lot like shadow IT, and many other areas required 3rd party solutions to maintain any functionality at all. IT admins knew that they needed to get control over the IT sprawl, and they wanted to do it with a modern cloud-based management solution. One component IT admins really needed was a cloud Mac management solution. Mac management tools had existed previously, but they were on-prem, heavy weight, and enterprise focused. On top of that, they were largely integrated with Active Directory rather than being cross-platform solutions that would replace existing solutions. These solutions resulted in IT needing to increase the number of tools, which added more complexity and cost that admins wanted. Fortunately, those tools aren’t the only option anymore. Today, admins are using a cloud-based directory by the name of JumpCloud Directory-as-a-Service. This innovative cloud directory is not only a Mac management solution in the cloud, but it is a modern cloud identity management solution as well. This means that you can manage access to systems (Mac, Windows, Linux), local and web applications (via LDAP, SAML), cloud and on-prem file storage (Box, Samba, NAS, etc. ), and wired and WiFi networks (via RADIUS). Think of it as a cross-platform user and system management solution that is delivered as a SaaS-based service. Said another way, JumpCloud Directory-as-a-Service is the reimagination of Active Directory and LDAP for cloud and heterogeneous environments. Want to see more? There are plenty of options available to check out the JumpCloud Directory-as-a-Service platform. You can sign up for a free account, register for a live demo, or contact our team. We also have a plethora of videos about the platform on our YouTube page. Don’t hesitate to reach out if you have any questions! We are always happy to help. Jon Griffin works as a writer for JumpCloud, an organization focused on bringing centralized IT to the modern organization. He graduated with a degree in Professional and Technical Writing from the University of Colorado Colorado Springs, and is an avid learner of new technology from cloud-based innovations to VR and more.